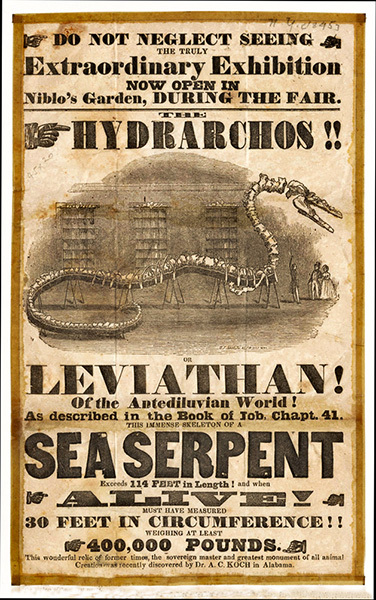 In 1845, fossil hunter Albert Koch mounted a tour of what he promoted as the extinct sea serpent "Hydrarchos." In fact the skeleton was constructed with fossils from at least five Basilosaurus skeletons that Koch had collected in Alabama, as well as a number of invertebrates. The skeleton of Koch's sea monster was destroyed in the Allied bombing of Germany during World War II.